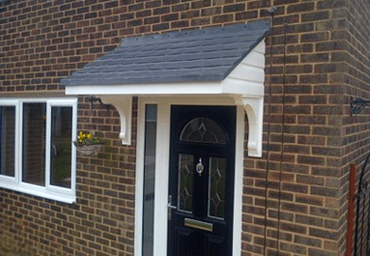 We supply a quality range of door canopies, and have done for many years. Any of our products will add instant appeal and sophistication and give a lasting impression to your property. Fibreglass Mouldings garage roofs are applied to the same standards as a domestic dwelling or office complex – which will also be enhanced with our very attractive edging trims and final colour choice. Glassfibre is ideal for all new or refurbishment projects, it can be used for many areas including balconies because the GRP is strong and flexible. By simply adding a colour pigment it can be matched to blend in with any environment. 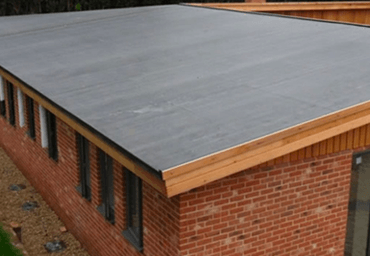 Over the past few years a keen interest has been developed in the use of fibreglass laminates to give a flat roofing covering that is superior to the traditional tar and felt coverings. Most people are familiar with the short-comings of the traditional systems and their relatively short life before they start to leak. Fibreglass pond linings to create a garden pond is probably the easiest, quickest and most cost effective way to achieve a stunning water feature in your garden. The flexibility of a GRP pond lining allows you the freedom to design a pond that suits your requirements – without the restrictions imposed by a pre-formed pond. Provided that the top of the pond is level – the GRP lining can be moulded to any shape or size you desire. It is important that the structure to be lined with GRP – is capable of withstanding the soil and water pressure in its own right and finally the glass fibre will add to the strength and rigidity. Normally the pond or pool is constructed from brick or concrete block. 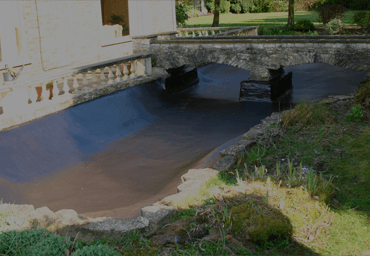 The whole structure would then be cement rendered and left to cure – so that when we apply the resins and glass fibre the pond will be dry and smooth. Once cured the pond would be coated by a topcoat to the colour of your choice. A reliable and consistent service along with expert advice. Engineered and manufactured to a high end finish. A professional and dedicated team. One of the best value Fibreglass manufacturer. Built to last and free from maintenance. We have over 45 years experience. Always at hand to answer your queries. We pride ourselves in providing quality. Copyright © 2019 FG MOULDINGS. All Rights Reserved.